November 2012 was an exciting time for marijuana supporters when Colorado and Washington made history by being the first states to legalize the use and sale of recreational cannabis. As a result, these states have witnessed a staggering transformation to their economies and culture largely due to the rapid growth and prosperity of the marijuana industry. This November, marijuana supporters will once again get to vote for marijuana legalization. But this time Oregon, Alaska, Washington D.C. and Florida are on the ballot. Beginning with the decriminalization of weed in 1973, Oregon has historically had some of the most progressive marijuana laws in the United States. And the time has come again for Oregonians to make one of the biggest decision yet on the legality of marijuana. Measure 91 will be on the ballot this November, and if passed, will legalize the sale and use of recreational marijuana for adults 21 and over. According to a recent poll, 52% of the population of Oregon supports the legalization of recreational marijuana. Proponents of marijuana legalization believe that allowing the use of recreational marijuana in Oregon would mean less arrests for petty drug use. Even though marijuana is “decriminalized” in Oregon, there are still at least 12,000 arrests and citations for marijuana each year. If Measure 91 passes, this could mean millions of dollars in tax revenue which would go to school funding, drug treatment prevention, mental health programs and state and local police. Annual tax revenue is estimated at $16 – $40 million annually. Alaskans are not newbies when it comes to marijuana. In fact, private use of marijuana has been legal in Alaska for nearly 40 years. And, according to a survey, 18% of Alaskans smoke marijuana but lack legal access to it. This November Alaskans will be voting on Measure 2. If the measure passes it would allow adults 21 and older to possess up to an ounce of pot and maintain six marijuana plants. The measure would also legalize productions and sales, which would be regulated by the Alcoholic Beverage Control Board. Support for Measure 2 is currently only around 50%. So whether this measure passes, really depends which side has a stronger campaign. Voter turnout will also be a major factor. If you need some motivation look to Alaska’s biggest advocate, Charlo Greene. The former news reporter that quit her job on live TV while doing a story on the on her own medical marijuana business, the Alaska Cannabis Club. Our nation’s capital will get to vote on Initiative 71 this November. If it passes, adult citizens, 21 and older, would be allowed to possess up to two ounce of marijuana for personal use, as well as up to six cannabis plants, with a maximum of three mature flowering plants. Initiative 71 would also allow up to an ounce of marijuana to be transferred from one person to another without payment. Initiative 71, which is currently supported by 65% of the population, is expected to win the majority vote. But that’ll only be the first hurdle. Unlike other states where majority vote wins, every bill passed in the District of Columbia requires the approval of Congress before it can be a law. This year Florida will vote on legalizing marijuana to treat “debilitating medical conditions”, such as cancer, AIDS, glaucoma, and parkinson’s disease. Amendment 2 would require a doctor’s approval before medical marijuana patients could use or possess weed. Supporters of Amendment 2 will be fighting an uphill battle. For one, 60 percent of voter approval is required, and polls are showing only 48 percent approval so far. Also, marijuana supporters are facing well-funded conservative opposition. A strong voter turnout of marijuana supporters would be needed to rock this vote. In a sport where players are beat and battered week after week with pain, the NFL would be a prime example for the sports world in which medical cannabis could properly be used and regulated for the benefit of the players and sports as a whole. What do you think? Colorado Amendment 64 was passed by an overwhelming majority on November 6, 2012. This amendment allows personal use of marijuana for adults 21 and over and allows for the growing, manufacturing and sale of marijuana. Fast forward one year, these same voters passed a 2013 state ballot measure imposing sales taxes on recreational marijuana making it one of the most heavily taxed product in the state. The tax would impose a 15% excise tax and an initial 10% sales tax not counting any local taxes that are placed. So what is the deal? Why first pass legislation that legalizes marijuana and then in turn place heavy taxes on that same product? The answer is always money. The voters simply didn’t want to pass Colorado Amendment 64 to simply legalize pot so people can freely use it recreationally. The voters wanted a cut of revenue for the sale of marijuana. Marijuana, although previously illegal, was already easily accessible. So why not cash in? Proponents of the 2013 tax measure hope to bring in an additional $67 million a year in revenue for schools, road repairs and regulation of marijuana sales. Moreover, politicians in the state hope to make Colorado one of the front runners in successfully implementing the legalization and regulation of pot. 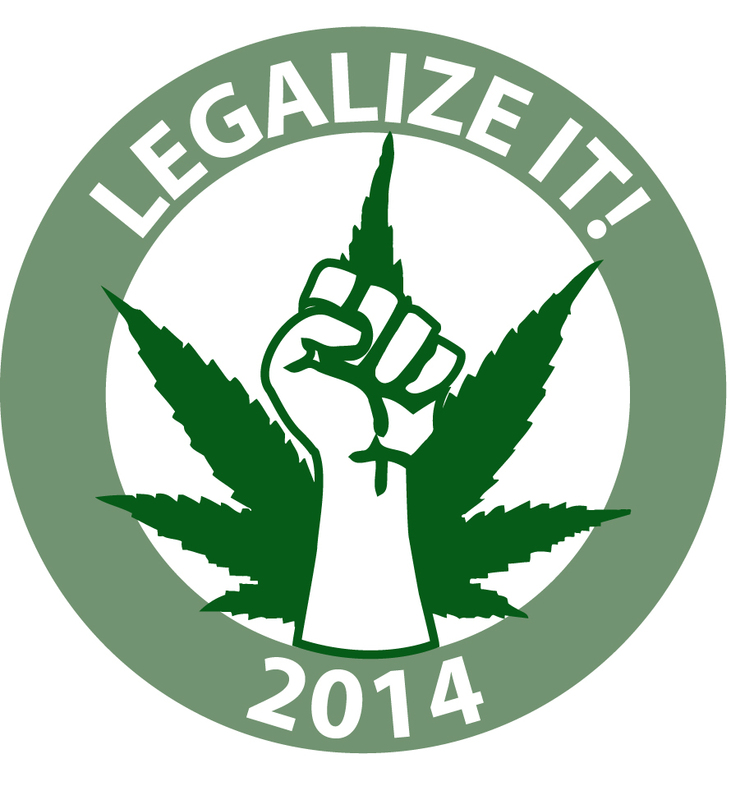 This legislation was passed before the first recreational pot stores are scheduled to open beginning January 1, 2014. Some coincidence? I think not. More than likely this is the result of a master plan in countering Colorado’s hobbled economic growth.